As we reported a week or so ago, for the 2018 Janet Watson conference we gave presentations on both accessing knowledge in geoscience text using Natural Language Processing, and our recent work on virtual fieldtrips, in which we took the audience on a quick tour through some classic Zagros and Zechstein outcrop geology. 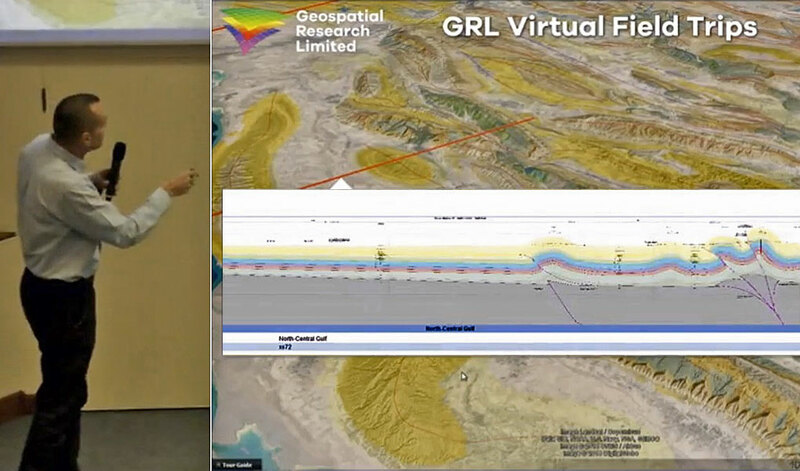 There were various virtual fieldtrips presented at the conference – all with a focus firmly on the outcrop geology (lots of virtual outcrop models – and not a PowerPoint slide in sight!). 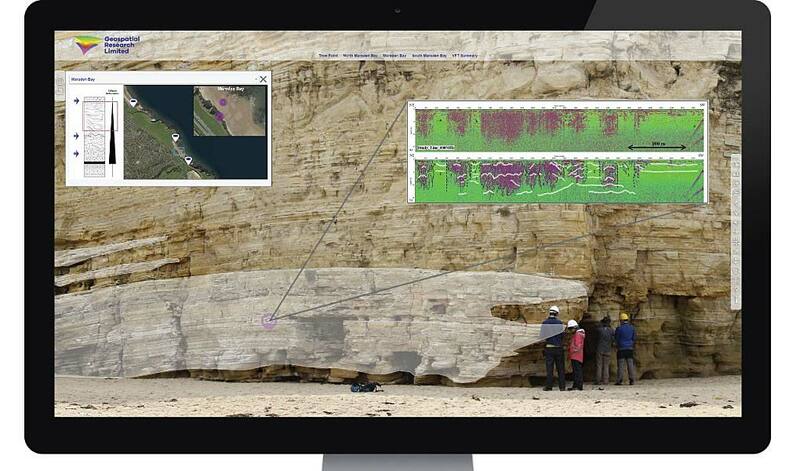 These technologies can really help to emphasise the importance of field geology and to make relevant information from the outcrop more accessible in the office environment. Understandably, alongside a lot of very positive feedback, we often also encounter a real concern among geologists that the technology might lead to virtual fieldtrips replacing real trips (the Evil Manager will see it as a cost-cutting opportunity, and to Pesky HSE-Person it will offer irresistible potential for risk-removal). Of course, that’s not our aim – and we don’t think that that’s likely to happen either, in the same way that the invention of the pocket calculator didn’t halt the advancement of mathematical science (though it must have been bad news for slide-rule manufacturers!). Ask yourself this: how many times have you actually visited outcrops in person in the last month? … How about over the last year? … Or in the whole time since you graduated? So wouldn’t you actually welcome the chance to visit many, many more outcrops, even if only virtually, whenever you wish (and still do real fieldwork whenever possible)? We have such strong belief in the added value of digital outcrop technology that we’ve long-since routinely used virtual outcrops as part of our real-world fieldtrips, to enhance appreciation of scale and geological context. Now we’re going even further, and are ready to offer all of our real trips (and many more too) as virtual field-trips that we deliver to your team in their office environment. Let’s have more outcrop geology, more easily available, more of the time.